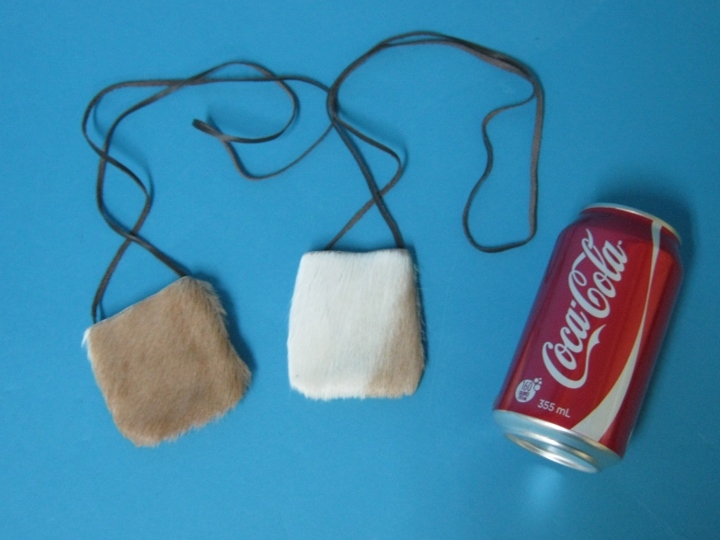 These are small leather purses made from tanned cow leather and decorated with real natural springbok fur on one side. 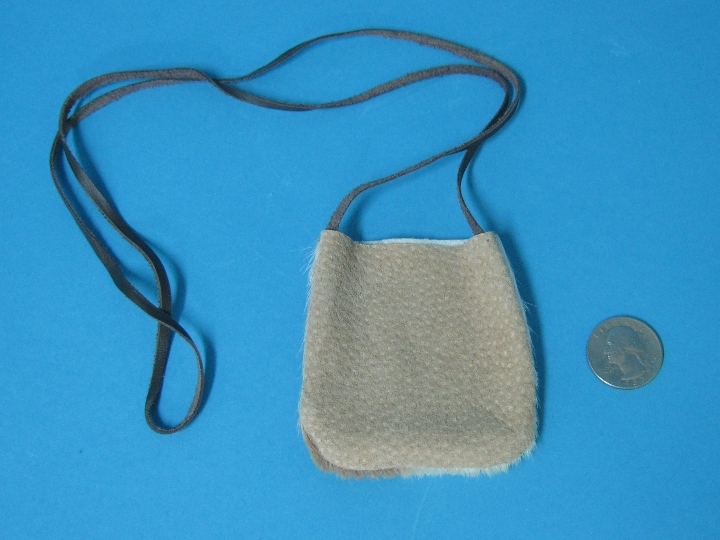 They measure approximately 3" x 3" (75 x 75 mm). The straps are also made with cow leather. Genus and species: Antidorcas marsupialis. Wild; Bos taurus. Ranch. 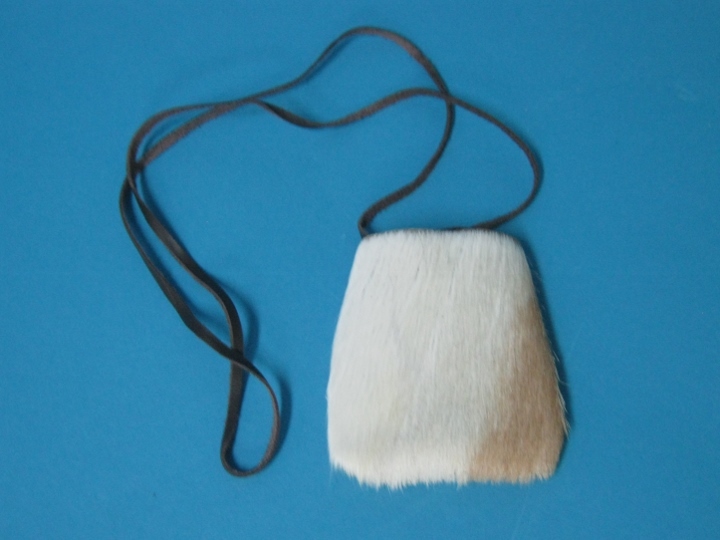 Springbok and Cow are not an endangered species and are not subject to CITES controls.